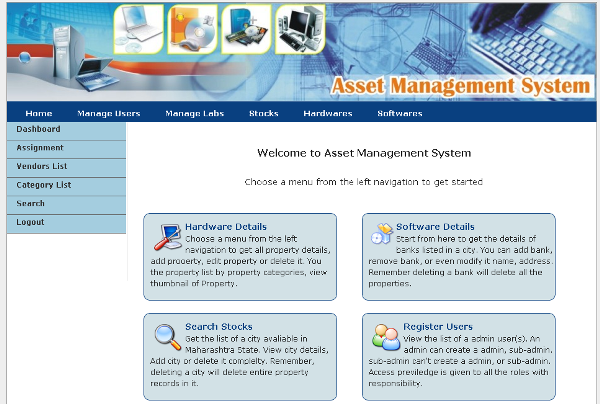 IT asset management is a simple project used to track stock of any organization’s IT assets. Any organization (specifically Institute, University etc) can use this project to take an inventory of their existing Hardware/software stocks. They can manage there vendors, categories and users and Labs. 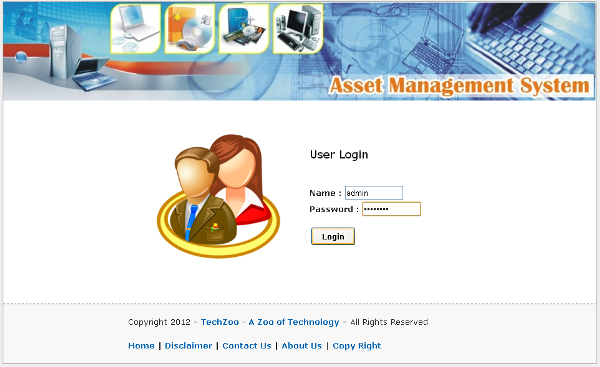 On Login, user will see a Dashboard which consists of Hardware, Software, User and vendor details. The user who is intended to use this application has two roles Lab Operator and Administrator. 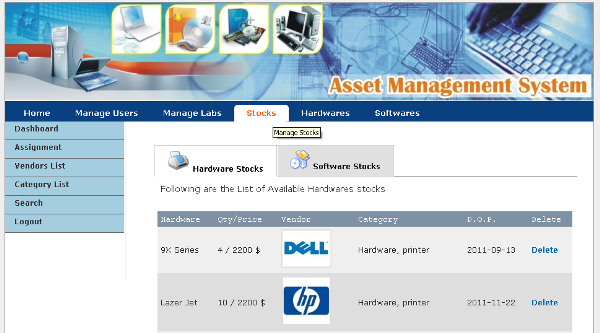 Admin can add, update, delete stocks and assign any hardware/software to Lab. Following are the features of this Project. Send me @ TousifKhan510@gmail.com the topic you are looking for and I will send the project source code for FREE (if I have that project already developed). You can also ask to develop/support your academic project by paying some extra bucks (money) :).